The presence of beautiful swimming pool invariably adds to the overall look and value of a property and home owners who understand the value of maintaining a clean and safe pool are going all the way to have them well guarded. Earlier wood and steel fencing were used by the homeowners, but these fencings could be affected by moisture and dust, and it would have got damaged within few years only. If you install the frameless pool fencing, then it can increase your swimming pool decoration, and it will protect your safety measurement also. 1. Leveraging the Aesthetics: Frameless glass fencing is one of the newest types of fencings that are used in this era. Particularly in natural surroundings, the conventional metal and wood fencing can mar the whole look as these often block the clear view of the blue waters of the pool. 2. Abiding by the Laws: In many countries it is mandatory for owners of swimming pools to build protective barriers around the pools. 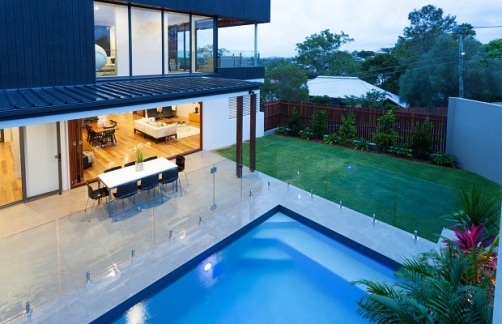 Installing frameless glass fences can certainly be the best way of abiding by the rules and at the same time not comprising on the overall look of the pool side. 3. Seamless View: For quite long, glass fences used to be installed with the help of metal hinges and joints but innovations in this field has helped in getting rid of such barriers too. These days, glass fences are either mounted on slots and spigots or are attached with strong bolts that are concealed on the surface of the pool side. Thus, the frameless glass fences that we get today ensure a seamless view. 4. Ease of Installation: The installation of the frameless glass fencings is not very hard either. In fact there are various ways of installing the frameless glass fences. The interesting fact is that such fences can even be fixed on hard surface without much hassle. 5. Safety: Like any other pool fence, even a glass pool fence serves the purpose of restricting access to the water body. Though, many may argue that frameless glass fencing can never be strong enough, people who have been satisfactorily using them would say just the opposite. These fences are not only great to look at but, owed to their sturdy built are also strong enough to withstand strong forces. 6. Ease of Cleaning: The glass used in these fences is as easy to clean as the glass of any other household item. A quick scrub with some soap water can easily give a sparkling clean fence that will add to the beauty of your pool side. 7. Resistance to Water and Stains: People these days are opting for frameless glass fencing more and more in order to get rid of the hassle of regular maintenance neither is glass stained by water nor other mild chemicals found in food items that are usually carried around the pool. Home owners who believing in beautifying their homes using their own creativity and skill often opt of DIY frameless glass fencing and aiding them in their efforts are the comprehensive DIY kits that companies around the world have come up with. They get the diagram to install the fences and also get an idea about how to maintain the pool fencing. Nowadays, people prefer using the frameless glass fencings because of the numerous advantages they provide. These glass fencings can serve both the purposes of security and maintenance of the overall aesthetic value of the property. If one can judge its usefulness, then it can be found that the frameless glass fencings are useful in multiple ways.